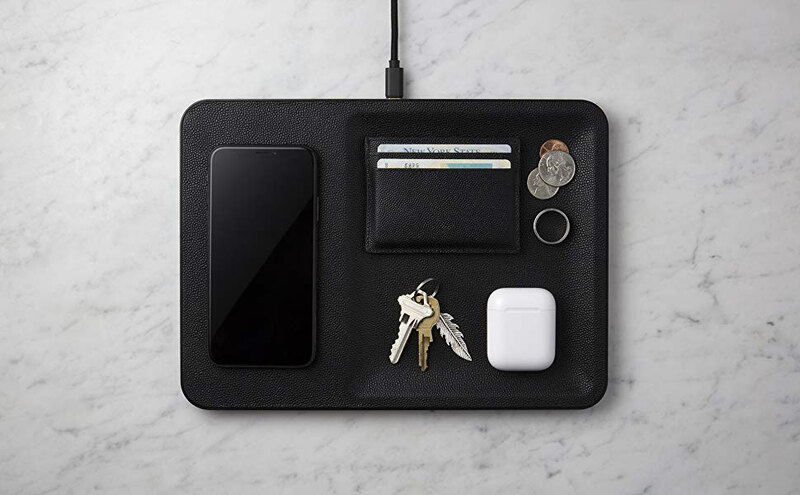 I think Oprah selected Courant's wireless charging accessory tray as one of her top tech gifts for 2018. Or maybe it was my wife, She-Ra: Princess of Power. Everyone's Christmas wish lists and gift guides seem to be cascading into my lap early and with a fierceness this year. It's like NCAA basketball kicking off their season on November 6 with Duke playing Kentucky. Duke and Kentucky! on November 6! Two Top 5 teams facing each other the first game of the season, which now starts two weeks before Thanksgiving! 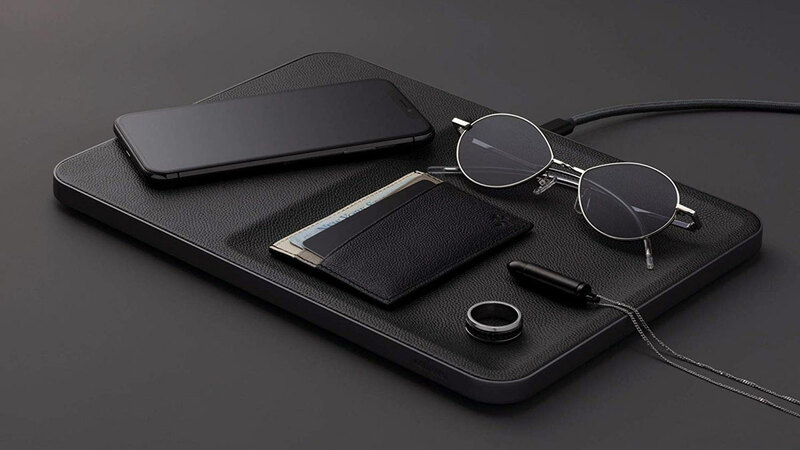 Whether recommended to you by Oprah or my wife, Courant's valet tray is indeed a handsome, albeit pricy, specimen. 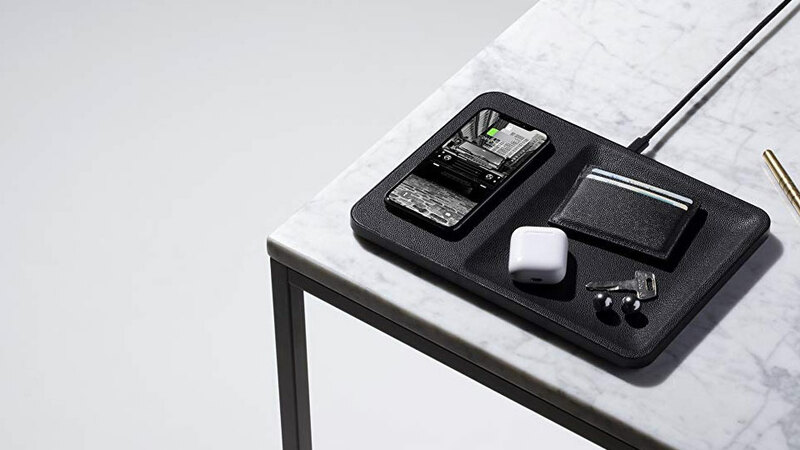 Its flat surface area contains a 3-coil construction that Courant says creates a "more forgiving" Qi-certified fast wireless charging area. The tray also contains an additional USB-A Output for devices that don't do the wireless thing, such as my mama's flip phone. 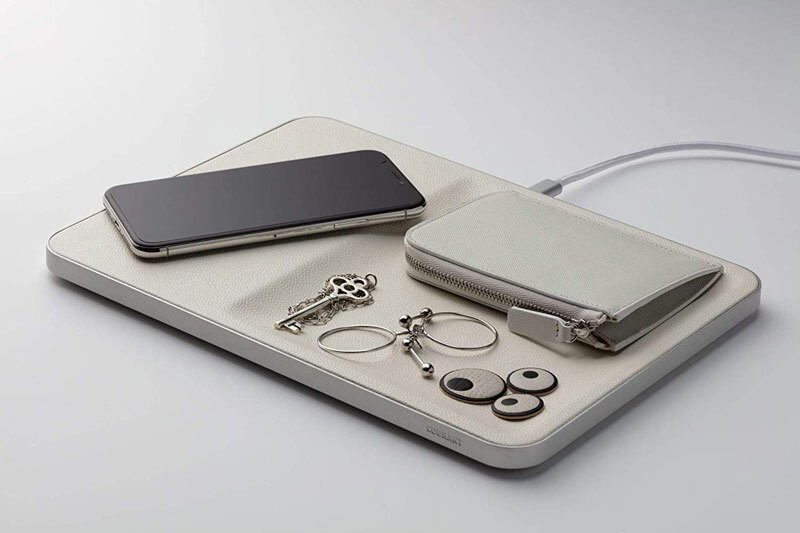 On the other half of the accessory tray is a shallow basin for storage of your DNL and/or DNF items*, such as wallet, keys, watches, and other jewelry. The whole valet is then wrapped snug in non-slip pebble-grain Italian leather, in your choice of Black, White, or Ash. *Do Not Lose and Do Not Forget.